Yi-lám thai séu: 800 × 538 chhiong-su. Khì-thâ kié-sak-thu: 320 × 215 chhiong-su | 640 × 430 chhiong-su | 1,024 × 689 chhiong-su | 1,280 × 861 chhiong-su | 2,785 × 1,873 chhiong-su. 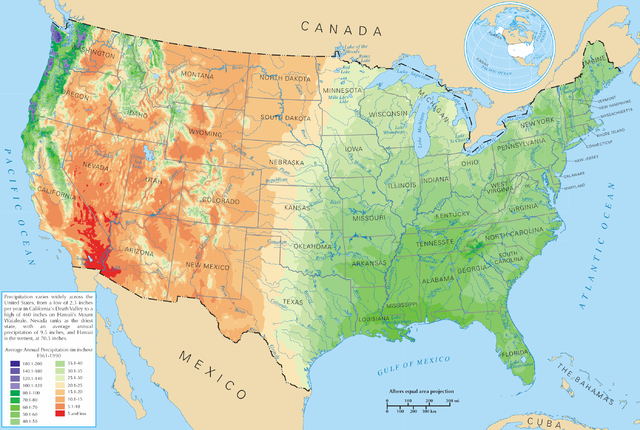 English: Average precipitation in the lower 48 states of the United States of America.